This gem is not yet for sale. 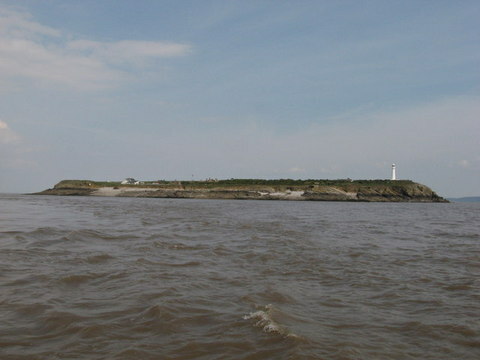 But Cardiff Council are actively moving towards placing Flat Holm Island up for sale ..
Proposal: To Cease Operation of Flatholm Island and Consider Options for Disposal. The final budget will be set at Full Council on Thursday 28thFebruary following consultation with other political parties in the Council and an intensive scrutiny process. 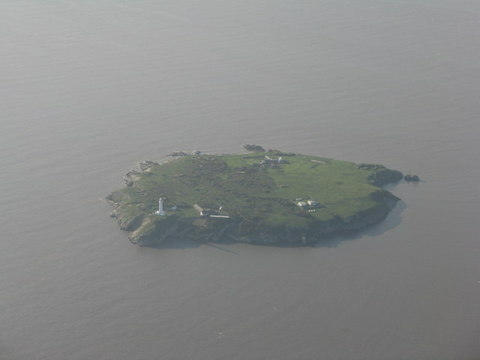 Flat Holm Island is included in the week’s Unique Property Bulletin on a “heads-up” basis. In case Cardiff Council go ahead with plans to sell this wonderful place. We mention it so that readers have time to get all their ducks in a row. If you do end up buying this island it will be life changing. The more notice you have the better. We had less notice for another island. Such was the shortness of time, and with some bad weather making access difficult, we nearly had to buy without managing to get onto the island to inspect it. That was a stressful and worrying time, but came good in the end. 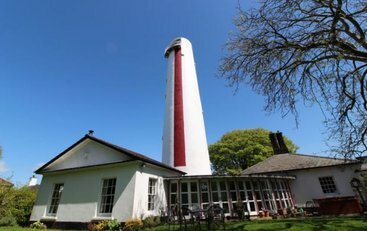 Often times with well known places like Flat Holm Island, the prospect of a sale can bring difficult issues when local communities and folk directly involved have a strong bond. There is clearly dissent about the idea of selling this island. However, such are the severe financial pressures on local authorities, it is very likely the island will be sold. It will probably sell in one of two ways. You, our reader need to know this. One sale route is effectively a community buyout. However, last year we registered a charity [for an entirely different thing than what appears on this website]. From very recent experience with that charity, it is becoming clear that the current dire condition of the economy, charity, philanthropic and community fundraising is very, very difficult. So the odds are probably that Cardiff Council will edge in the direction of a private sale. Perhaps it is worth mentioning an experience for those who may have concerns about their possible island sanctuary ending up embroiling them in a local political controversy. Back in our own distant past, a small island we were looking at in 1999 was also much beloved by many others. 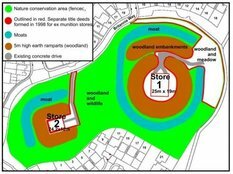 A well known rambling association was mentioning a mass walk and other demonstrations to ensure access to a beautiful place. We bought the island property, and the local radio station wanted an interview. They raised the issue about stopping ramblers at our island pier. 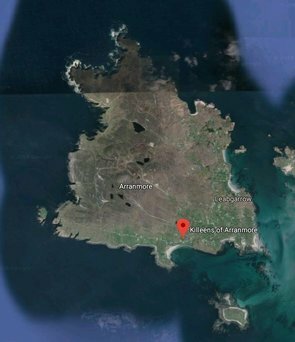 The writer of this very listing made it clear way back then, that anyone who took the time and effort to sail across to the small island would be more than welcome. They were clearly island lovers too. Also to bring a pint of milk for the tea or coffee to be shared when they visited. It may seem like something from the Waltons, but it reassured those needing such comfort that their access would not be compromised, and it also sorted out any petitions or rumblings about mass rambler visits. In fact one of the most enjoyable things from that island experience was the new friends made when the very people who love islands came across to visit. Several became lifelong and enduring friends. This is not a one off. A fellow owner of a small island had virtually the same experience. More of that in the Unique Property Manual. The writer of this Bulletin section is starting to ramble himself! 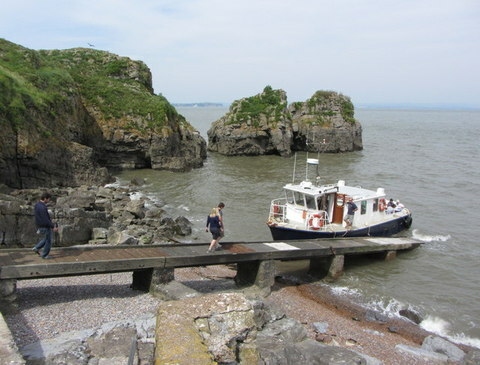 back to Flat Holm Island. 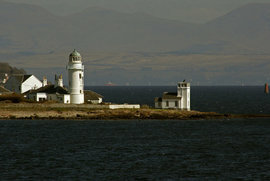 Location: Flat Holm Island, Bristol Channel, Britain. Mainland Office: Flat Holm Island Booking Office, Cardiff Harbour Authority, Queen Alexandra House, Cargo Road, Cardiff Bay, CF10 4LY. 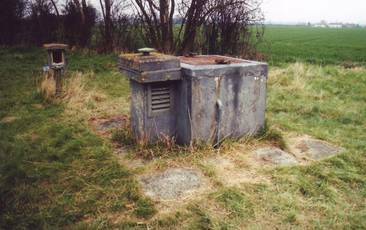 Often the small islands around the United Kingdom have mainland offices or contact points. Tenure: Likely to be Freehold. But please check when you are researching title and due diligence. Guide: £££ To Be Advised – This will be reported in the Unique Property Bulletin as soon as we find out. Contact Cardiff Council Tel: 029 20 877912 (NOT the official sale line, but the current point of contact. PLEASE be gentle and diplomatic, if and when calling. Alternatively wait for Unique Property Bulletin to report the OFFICIAL sale details). Online Background & Visitor Details …. Here is an interesting old cinema for sale. 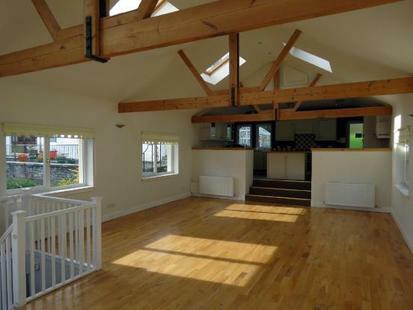 Over 5,600 square feet for a general guide of around £60,000. A lot of entertainment (sorry) could be had looking at an unusual conversion from an old flicker palace to a modern home. More interesting from our perspective is this building is a failed-to-sell-at-auction property. Must have been a “B” movie with laid back interest on the day of the sale. Given this, perhaps a haggle in the offing? Though the price is already down in the stalls (sorry again). 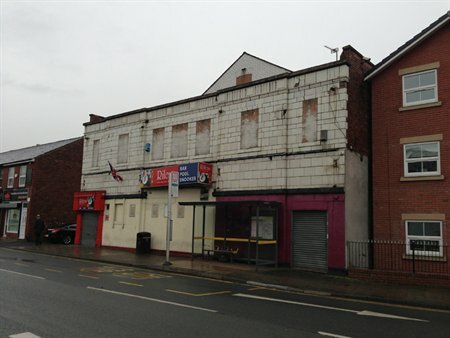 Auctioneer’s Narrative: A single storey detached former cinema in need of refurbishment and offered with vacant possession. Situated on Market Street towards the junction with Lee Road (B5125) within Atherton town centre. Atherton is located approximately 6 miles east of Wigan town centre and 10 miles west of Manchester city centre. Location: Former Cinema, 144-146 Market Street, Atherton, Lancashire, M46 0DX. Tenure: Long Leasehold. The property is held long leasehold for 999 years from 25th March 1907. Lease expires the year 2,906. Only 893 years to go. THOUGH MAKE SURE AND CHECK OUT THE LEVEL OF ANNUAL GROUND RENT REQUIRING TO BE PAID. Guide: £60,000 to £70,000 – Lot 128 – Failed To Sell At Auction – 28th February 2013. 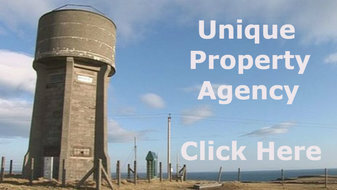 Contact Roy Pugh Auctioneers Tel: 08442 722444. The Round House, Knighton, Shropshire (c) 2013 Connor Birch. 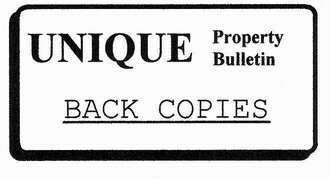 Since moving from the old paper version of the Unique Property Bulletin to online, the ease of communication has been a delight. Gone are the days physically using time up to print, collate and post the thing out. Alright, the technology took a bit for the computer dinosaurs here to get a grip with. But the online edition keeps giving on so many levels. One of which is a growing network of readers, some of whom actually own unusual property. This former Railway Station Hotel is one such candidate. Sent in during the week by a reader/owner there are 5,000 feet for a guide of £285,000. A lot of rooms to play with. The Round House – Interior (c) 2013 Connor Birch. Unusually this Round House is like the proverbial Dr Who Tardis. 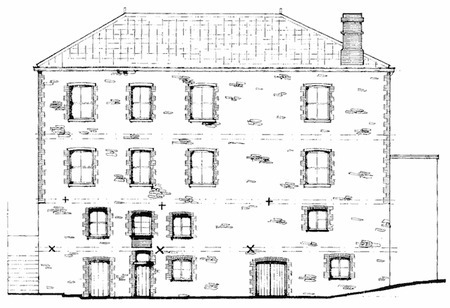 It looks like a modest two storey building from the front elevation, but as it is built on an incline, the back elevation shows the full 4 storey height, plus a fifth attic level. The Round House – 4 Storey Elevation (c) 2013 Connor Birch. 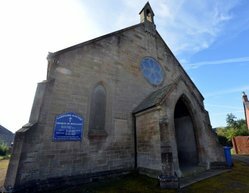 The local authority advises that it is keen to see the property developed. 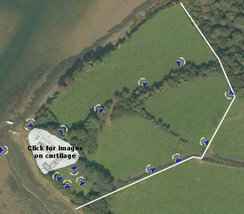 If the Round House were transformed into multiple dwellings, it may be capable of accommodating 3 houses or 11 flats. Further details on the owner’s website. Meanwhile, if this former Railway Station Hotel, and now known as the Round House lights your steam engine, the summary details are below (please replace the word “at” with “@” so as to avoid email hoovering robots). 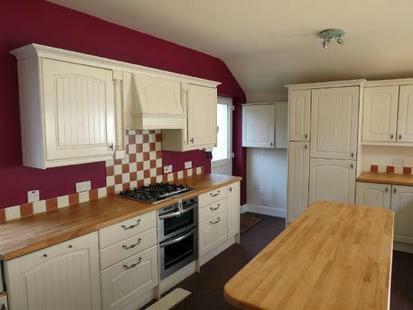 Location: The Round House, Kingsley Road, Knighton, Shropshire, LD7 1DY. One Foot In The Grave ? A bit of dark humour, but there is something ironic about having a retirement flat in a church. Not too far to go from kicking the bucket, via a ceremony downstairs and a box in the boneyard outside in the garden. No pet dogs allowed – can’t have Rover digging for bones. Am sure it isn’t like that with this particular lot, but sometimes you can’t help thinking along certain lines! Whatever else, this is a very reasonable priced flat. The building has a lift installed too. Though in your due diligence, check out what the communal service charges are for your peace of mind – before it rests in peace. 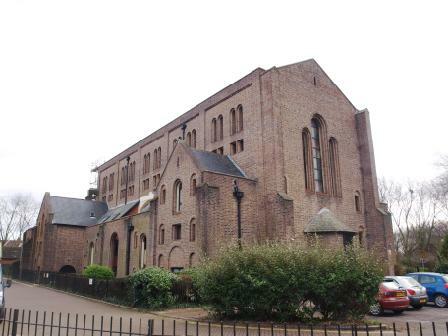 Auctioneer’s Narrative: This one bedroom second floor retirement flat is situated in a former church, which was converted in the 1980s to provide retirement accommodation including communal and lift facilities. The property is situated close to the Rudmore (ferry port) roundabout, a short distance from the commercial centre at North End. Accommodation: Living Room, Kitchen, Bedroom and Bathroom with W.C. Location: Flat 27, Rudmore Court, Simpson Road, Portsmouth, Hampshire, PO2 8SS. Tenure: Longish Leasehold. Remainder of a 99 year lease from 1st March 1987 – how many of us will be around in 2086? Also there is usually a renewal clause within the long lease document. Guide: £25,000 to £30,000. 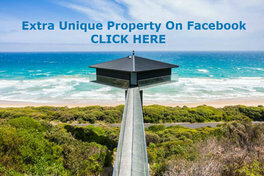 Lot 140 – Auction 22nd March 2013. I reckon the poor owner of this converted Squash Court had wished their possession order had been quashed. To add insult to injury, the building failed-to-sell-at-auction. A squashed court with no sale? Haggle time. This is a former squash court converted in 2006 to form a stunning family home in this beautiful rural location, set in the grounds of the old Glencruitten Estate. The main living area is open plan and positioned on the first floor to take full advantage of the outlook towards Glen Lonan and comprises Lounge/Dining area and Kitchen. The ground floor has three good sized Bedrooms (one with en-suite Shower Room). Plus Family Bathroom. 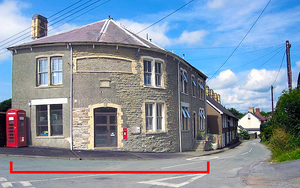 The Home Report estimates the value of this property at £210,000 and the EPC=D. The town of Oban is approximately two miles from the estate in an area popular for walking, horse riding and outdoor pursuits, and remains peaceful and quiet. Oban supports a wide range of shopping and recreational facilities including Primary and high schools as well as a hospital, busy harbour and sea front. 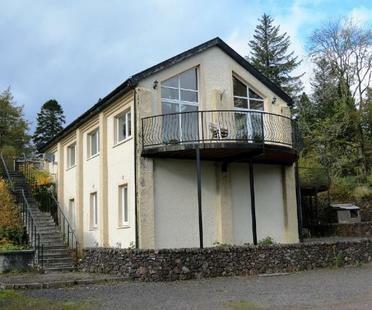 Location: The Old Squash Court, Glencruitten, Oban, Argyll, PA34 4QB. 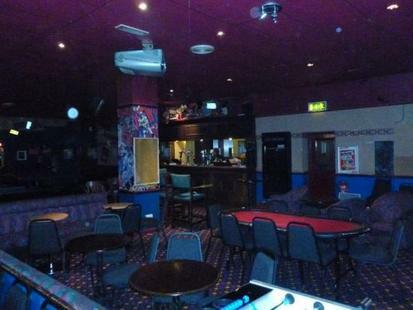 Guide: £180,000 – Formerly Lot 31 – Failed to sell at auction: 28 February 2013. 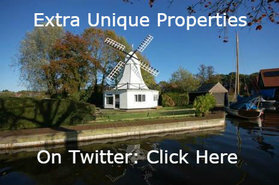 Contact Wilsons Auctions Tel: 01294 833444 – Mr Paul Bott. This just jumped out of a rummage around our unusual property box this week. It looks like a proper fort – the ones you built as a kid. Although the distinction between a fort and a castle is open for debate as the actual name for this unusual building is Castlehill. Whatever the genre, this 5 bedroom detached splendour of a home is set in around 4 acres with wonderful views, and all for the price of a modest city flat. 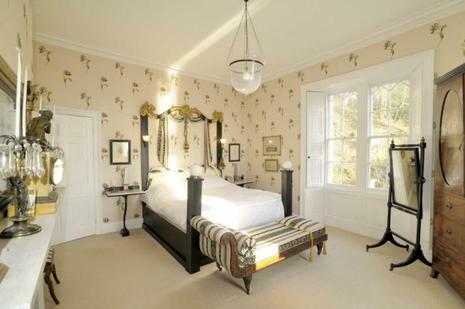 Agency Detail: A fine Grade II listed bedroom family home with ancillary accommodation set on the banks of the River Tweed with exceptional views. 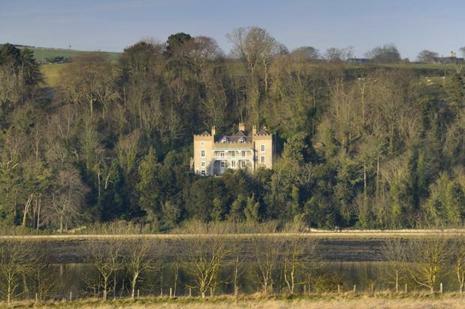 Castle Hills House is a unique and elegant property which benefits significantly from its elevated position on the banks of the River Tweed. The property is well positioned in a private yet accessible location, a short walk from Berwick town centre and railway station. The house was originally a single tower which was extended in the 1820s as a Dower House for nearby landowners, the Askew’s. They occupied the property until 1945 when it was converted to a maternity hospital. The property was returned to residential use in 1984 prior to the Askews selling. Internally, the property is well presented throughout. However, there is potential for a purchaser to further enhance the interior through a programme of modernisation. 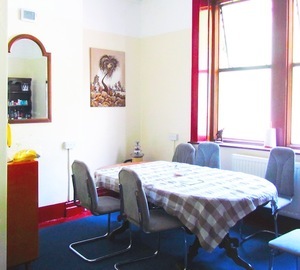 The principal rooms on the ground floor are the dining room, morning room and snug which are arranged off the inner hallway. Each is well proportioned and enjoys excellent views that are prevalent throughout the property. There is deep skirting, detailed cornicing and exposed, solid wood flooring in each room, in addition to a number of fantastic open fireplaces. The kitchen is positioned close to the dining room and has been well designed to make the best use of the space available. Scope exists to extend or reposition the room (plans available), subject to the necessary consents. There is a convenient utility / wash room close to the kitchen. To the east of the ground floor is an accessible bedroom suite comprising bedroom with adjoining shower room and study / dressing room. 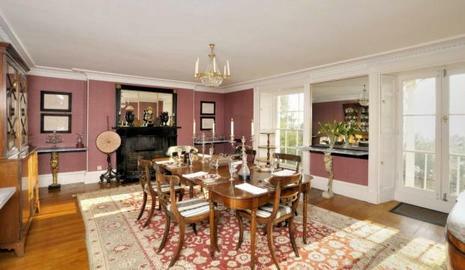 At first floor, the spectacular drawing room forms the heart of the house. Extending to 34ft from east to west it provides the perfect space for entertaining with doors opening on to the veranda and views up and down the Tweed. There is an excellent flow of natural light into the room through the floor-to-ceiling windows with working shutters which are a welcome feature in the majority of the rooms. The master bedroom is positioned on the eastern side of the house with dual aspect windows facing east and south. The house bathroom is positioned close by but could be incorporated within a private master suite. The second bedroom is at the western side of the property and is of equal proportions to the master bedroom with a bathroom next door. A fourth bedroom, at the rear of the house, completes the first floor and offers the proportions you would expect. The second floor would make the ideal teenager suite with a good sized bedroom, a bathroom and two attic rooms which are currently used as office space. To the rear is a kitchenette as well as private access to a separate stairway leading to the drive. The lower ground floor houses the self contained guest suite which has recently been used as a holiday rental and can be accessed from the driveway or via the main house. 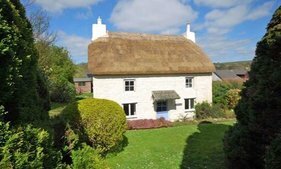 The accommodation comprises of a welcoming living room with open fire which adjoins the country kitchen. A convenient utility room is close to the kitchen and leads out to the courtyard. There are three bedrooms, two of which have vaulted ceilings, two bathrooms, a sauna, boiler room and wine cellar which are all arranged off the hallway. 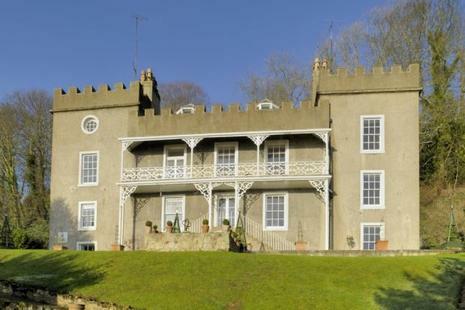 Location: Castle Hill House, Berwick-upon-Tweed, Northumberland, TD15, 1NR. What’s The Story In Balamory? We have a tail-end-charlie to list at the BBC television’s Balamory this week. A Bargain in a Bond. Anyone who has taken their kids to Balamory, otherwise known as Tobermory will know just how beloved this place has become. It may seem a little harsh when your betrothed weighs 200 tons and has two big propellors protruding from her derrière, but this was love at first sight. Apologies for reminiscing. Enough of the detour. 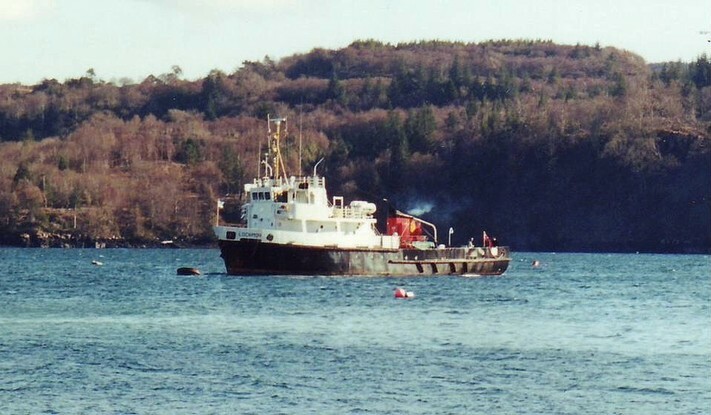 If you have a chance, please consider a trip across on the big ferry to Balamory/Tobermory. 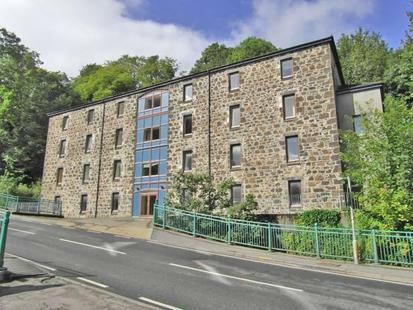 For what it is worth, this flat for sale at The Bond is very tempting – folk at this end of the keyboard are thinking about it, which says something about the place given the rich variety of unusual properties seen here over the years. The Bond may look fairly ordinary, but we promise, the location at Tobermory on the Isle of Mull is wonderful. Perhaps not as vivid in colour as the BBC television series…. … but colourful enough. It also has some very nice folk, and one of our favourites (though he has passed away now) the Harbour Master at Tobermory was a fine man and very decent soul. Location: The Old Bond House, Main Street, Tobermory, Isle Of Mull, PA75 6NT. Tenure: Believed Commonhold (Good Quality Title In Scottland For This Type Of Building). But PLEASE do check with the selling agent and your own solicitor the type of Land Registry Title you are buying, and the pro’s and con’s of SHARED EQUITY OWNERSHIP. Guide: Around £88,000 or 25% shared equity at £22,000.